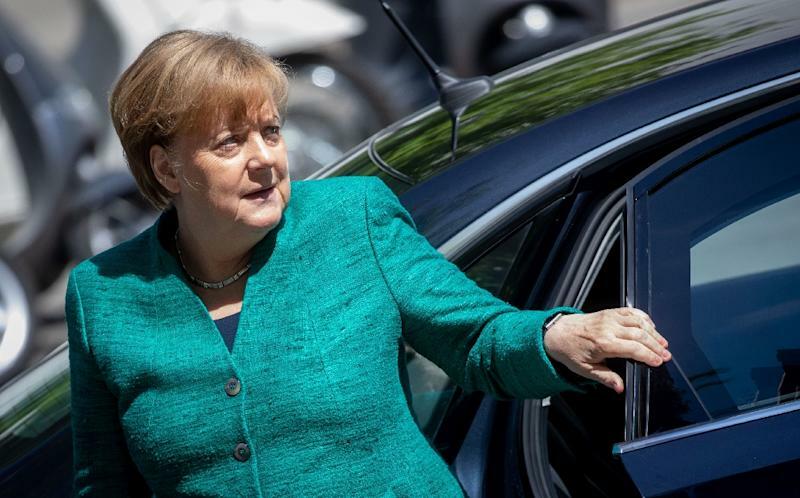 Berlin (AFP) - German Chancellor Angela Merkel faced a tense showdown Thursday within her divided conservative camp over the flashpoint issue of immigration that could threaten her political future. "I see illegal migration as one of the major challenges of the European Union and therefore believe that we should not act unilaterally, or without consultation, and not at the expense of third parties," she said. But the CSU was adamant that Germany "can't wait for another EU summit", with its Bavarian state premier Markus Soeder declaring that "we must think about the local population, not just the rest of Europe". The CSU's Alexander Dobrindt insisted Seehofer has the authority to order police to turn back the migrants -- a potential act of open defiance that would force Merkel to fire him, sparking coalition chaos. Merkel, the longest-serving EU leader, had Wednesday called immigration "a litmus test for the future of Europe" -- but the issue has once again turned into a test of Merkel's own grip on power at home. The top-selling Bild daily argued that "if no agreement is reached, Angela Merkel must face a vote of confidence and every lawmaker must decide ... Keep going with Merkel's way or face an adventure called fresh elections." The opposition Greens party voiced "deep concern about a real government crisis" which put Germany "at a crossroads, to choose humanity, solidarity and the rule of law, or say goodbye to all these values". Seehofer has long fumed at Merkel's decision to open German borders in mid-2015 to a mass influx of over one million asylum seekers, although the government has sharply restricted entries since. Merkel's CDU and the more conservative CSU have for decades been sister parties that form a single parliamentary faction. On Wednesday Seehofer boycotted Merkel's "integration summit" of volunteers and agencies that support refugees, saying he objected to the presence of a critical journalist there. The same day he met Austrian Chancellor Sebastian Kurz, who announced at a joint press conference that the interior ministers in Vienna, Rome and Berlin had formed an "axis of the willing" to combat illegal immigration.